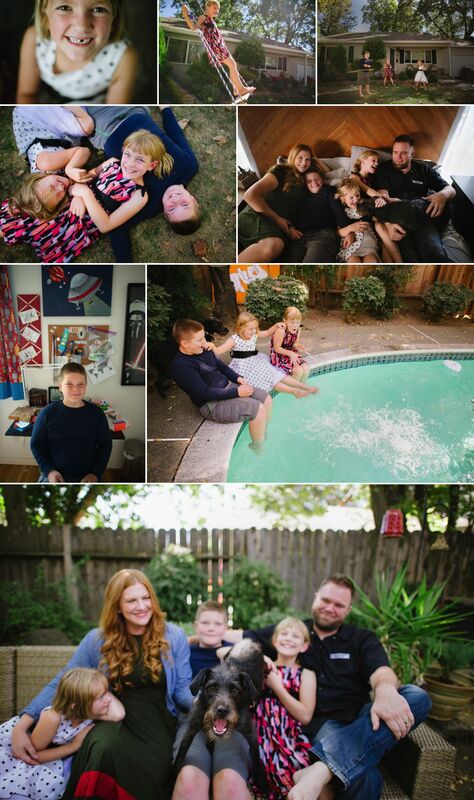 I believe family photography should be custom fitted to your own unique family! It should fit your personality, and be something that you and your family will treasure for many, many decades. Woodland locals, the Ash Family, personalized their photography session by focusing on what they spend their free time doing the most together. The kids (Gavin, Sweden, and Emilia) spend a lot of time playing outside on the tree swing in their front yard, Gavin and Brian spend time together tinkering and building the coolest projects together, and everyone in this family is an amazing artist! Woodland Make-up artist, Veronica Gersalia was inspired by Julia's natural red hair and created a soft and natural look, with some brilliant golden tones to highlight her gorgeous eyes! Having a professional make-up artist helps to ease the anxiety that so many of us get when we are put in front of a camera. Book a complimentary consultation for your family now!